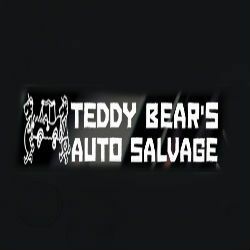 Teddy Bear's Auto Parts & Salvage Inc. - Http://teddybearsusedparts. com/ - We are family-owned and operated and have been in business since 1988. Dedicated to our community, we serve our local fire department and police force. Teddy Bear's Auto Parts & Salvage Inc.
Http://teddybearsusedparts. com/ - We are family-owned and operated and have been in business since 1988. Dedicated to our community, we serve our local fire department and police force. http://teddybearsusedparts.com/ - We are family-owned and operated and have been in business since 1988. Dedicated to our community, we serve our local fire department and police force. We care about our customers and will do our best to give you the best deal and answer all of your questions. Palm Beach Garage is a family owned and operated facility. We proudly serve the Palm Beaches and the entire state of Florida, as well as repair, restore and maintain vehicles across the country.